Little Helsinki: Hooray for Helsinki! This book is great! It is published by Tammi both in Finnish and English and it was released for the ongoing design capital year. 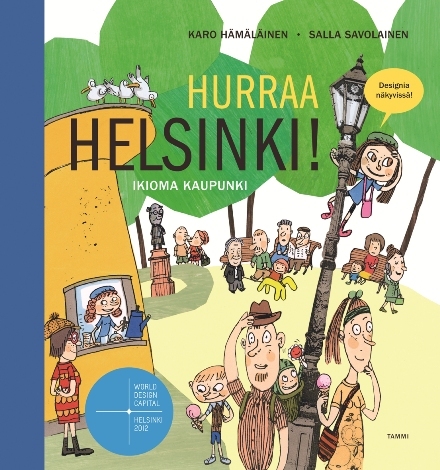 It's a children's book including a story about a family's summer day out in Helsinki. It is also a book for anyone interested in Finnish design. There is plenty of information about designers, famous Finnish brands and interesting stories behind Helsinki's architecture. Näyttää kivalta. Tilaan sen varmasti. Kiitos vihjeestä! ooohh... must buy for my simo and aki, sillä asumme kanadassa.